Programming of operating parameters is easy thanks to the new color graphic display and integrated USB ports. Which kind of cashless do you have? 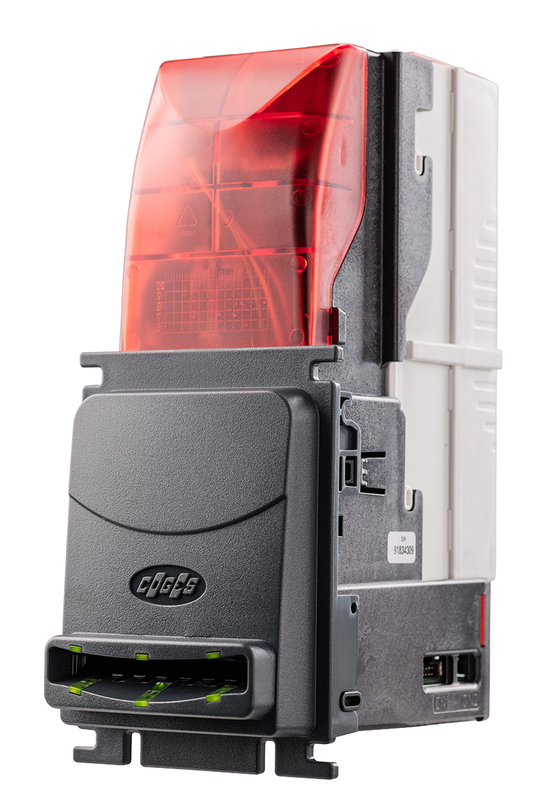 Depending on the reader, Coges cashless systems support MyKey (cashless media with proprietary protocol and transponder transmitter), MIFARE Classic and DESFire (fobs and stickers) and LEGIC media. Choose the readers that best suit your needs and increase the value of your vending machine with all the advantages of cashless and Coges experience. Reader for Coges proprietary keys such as CL keys, MyKeys and Service keys. Available in version with integrated IR device. Reader for cards, tag, fob and other MIFARE devices in Classic and DESFIRE format. It is compatible with the standards ISO/IEC14443 type A & B. It can read LEGIC cards and fobs, formatting cards; it is compatible with the standards ISO/RF. 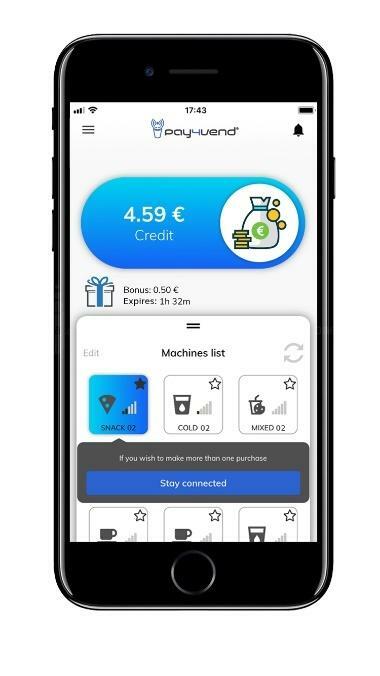 Coges Engine can be equipped with an optional Bluetooth module to make it compatible with the Pay4Vend smartphone payment system. The Coges electronic payment systems store all the data necessary to quickly and accurately maintain a correct accounting of the vending machine. The accessories for the recording of accounting data make it possible to download the audit and import them into a management system or wherever it is necessary in the most efficient and user-friendly way. 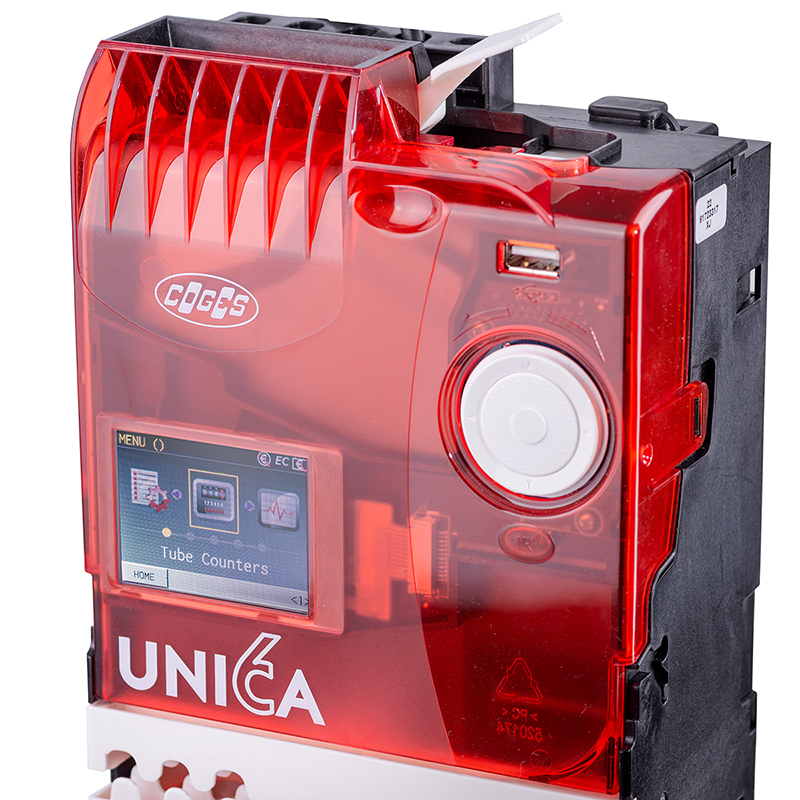 Unica supports Nebular by the way of an optional 2G / 4G connection module which allows wireless remote communication. 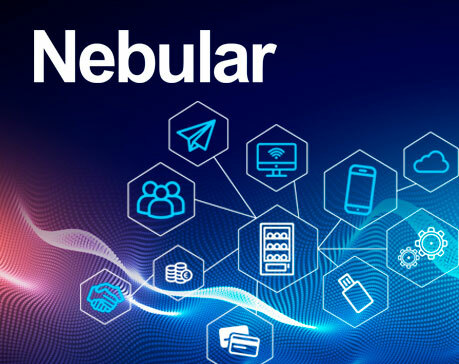 Nebular is the next generation solution to offer electronic payment and vending machine connectivity in a single product. 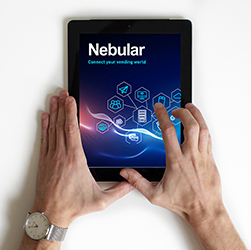 Nebular brings the intelligence of your payment systems to the cloud, giving you the connectivity you need to get the best out of your fleet. 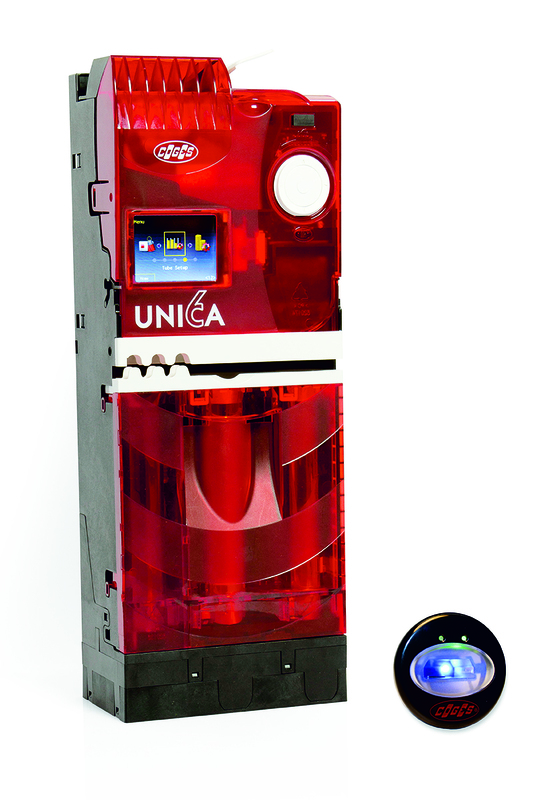 Unica change-giver coin mechanism was entirely designed and made in Italy, but thanks to its high-precision technology and the vast database of coins it is perfectly compatible with many currencies other than the Euro. 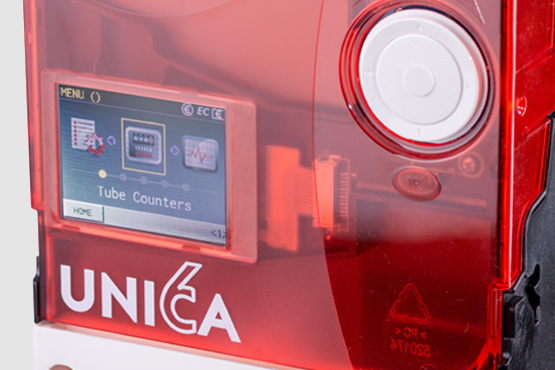 Unica can read in real-time the actual number of coins in the tubes. 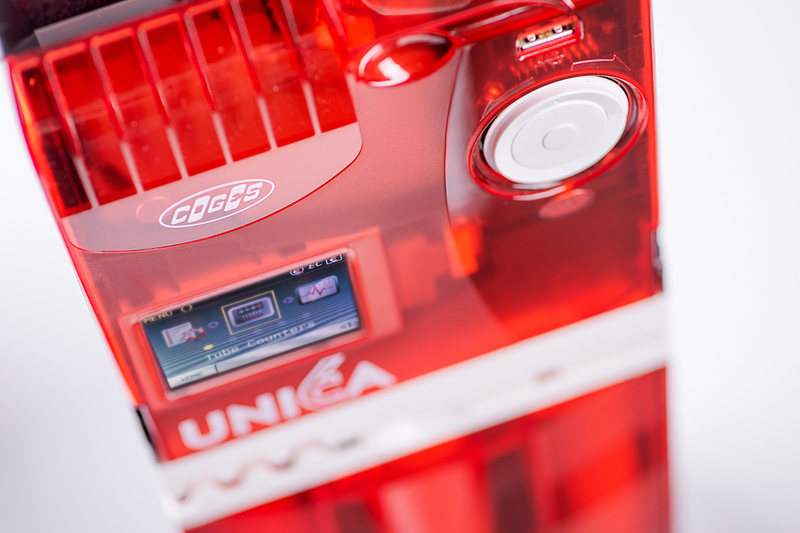 In case of manual alterations of the quantity of coins during the opening of the tube group, Unica will report any inconsistencies on the display and exportable files. 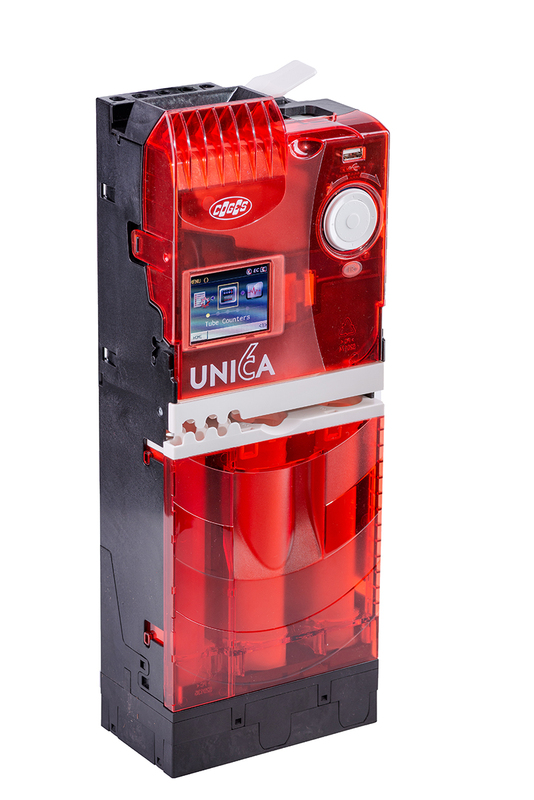 Unica’s integrated data recording unit permits a complete audit of all accounting data, including cash in tubes, cash in cashbox and a breakdown of sales by selection. 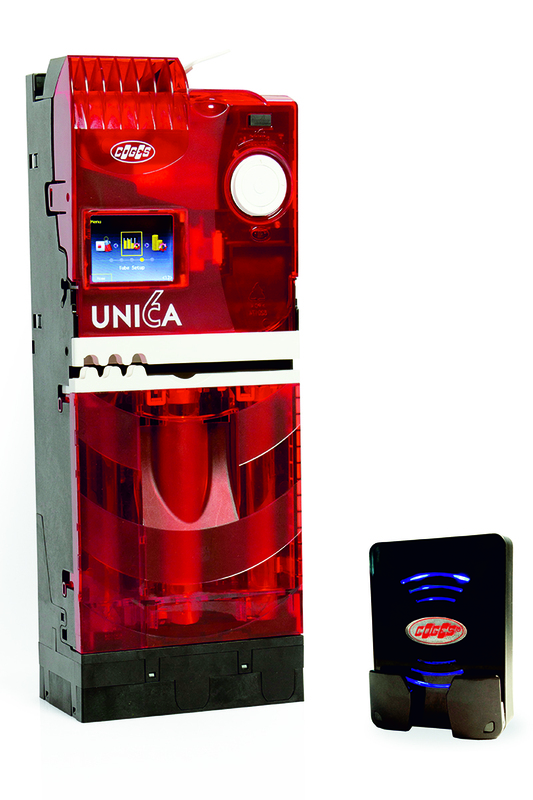 Unica is fitted with a color graphic display that lets you spot in a glance the number of coins in each tube and detailed messagges about the operation of the changegiver. 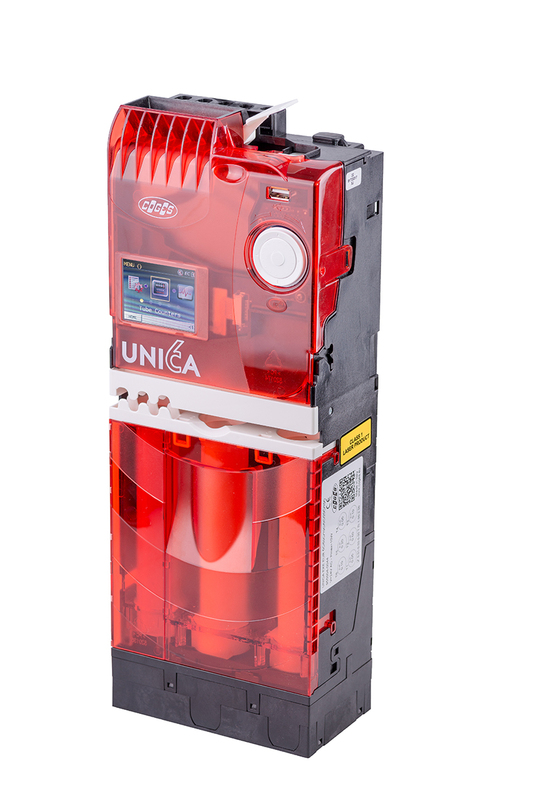 What can you do with Unica?